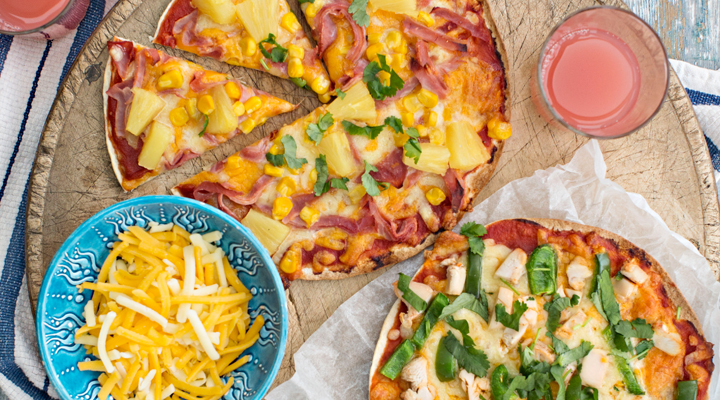 Created by Derval O'Rourke, Tortilla wraps make and ideal base for a quick lunchtime pizza option. These will be popular with all the family. 1. Put the wrap on a baking sheet and spread the passata over the wrap using the back of a spoon. 2. Sprinkle the cheese on the wrap. 3. You can add any of the optional toppings that your child may like. Ham, sweetcorn and pineapple are a lovely combination as are chicken and peppers. 4. Place the wrap in the oven and bake for up to 10 minutes until the cheese is melted. Careful not to burn the wrap! 5. Remove, slice and serve.